And now, with the help of EU funding, the universities have created research centers that are advancing knowledge and spinning off commercial ideas. On March 18, six companies supported by the South Moravian Innovation Center and/or backed by Y Soft Ventures presented the products they are aiming toward the US market, and researcher from both BUT FEEC and CEITEC presented highly marketable ideas at a session entitled Brno's Next Big Idea. Faculty of Eletrical Engineering BUT and CEITEC BUT have a wide range of research projects in the pipeline. 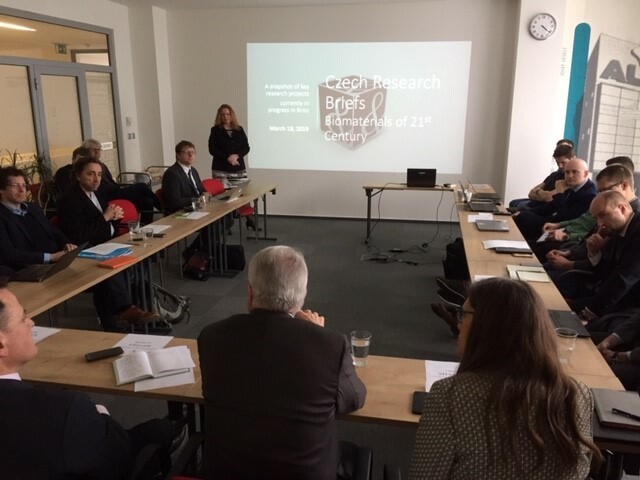 Brno's growing companies presented impressive results in the areas of construction (IdeastatiCa), cybersecurity (GreyCortex), textiles (Skinners), electron microscopy (NenoVision), organic chemistry/chemical biology (CF Plus Chemicals) and agriculture (Photon Systems Instruments).